The step-by-step guide will help you how to hard reset your Samsung Galaxy phone. This tutorial applies to all Samsung smartphones including S, N, J, and A Series models. We’ll need our phones to be wipe and factory data reset at some point. It can because you’re changing your phone and want to erase everything so that no one can have a look at your private data. Your phone has become slow over a period of time, and you want to a refresh to make it like a new one regarding performance. You’re having some issues that might run away by factory resetting your phone. The factory reset method applies to all models when I say all it includes Galaxy S7 Edge, Galaxy S6, S5, Note 5, Note 4, Note 3, J7, J5, J1, A7, A5, A3 and all other models that I didn’t mention! Please note that once you hard reset your phone, everything is erased including 3rd party apps (installed from Play Store), Contacts, Photos, Videos and other user data. It is therefore recommended to backup your important data. 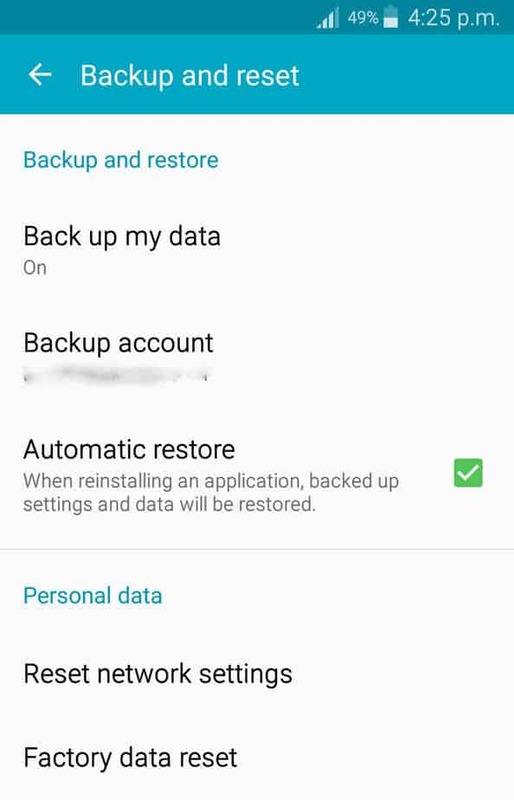 You can learn how to backup your phone using our detailed guide on Android backup. Also be careful and don’t forget to note down your Google or Samsung Account ID and password if in case you’ve setup the reactivation lock. Not doing so will not give you access back to your device after you factory reset it. It is therefore recommended to turn off reactivation lock on your phone. I hope you’d be very careful and do the necessary homework even before you think to format your Samsung device. Now let’s move on and get started with the practical guide. You’ve 2 options to hard reset your device. I will explain both in details with screenshots so that you can easily understand the whole procedure. In reality, both methods do the same work and can be applied quickly, and in the end, it totally comes down to your personal preference. Luckily, all versions of Android have similar settings options so don’t worry if you’re running Android Nougat, Marshmallow, Lollipop, Kitkat, or Jellybean. Scroll down and find user and backup. 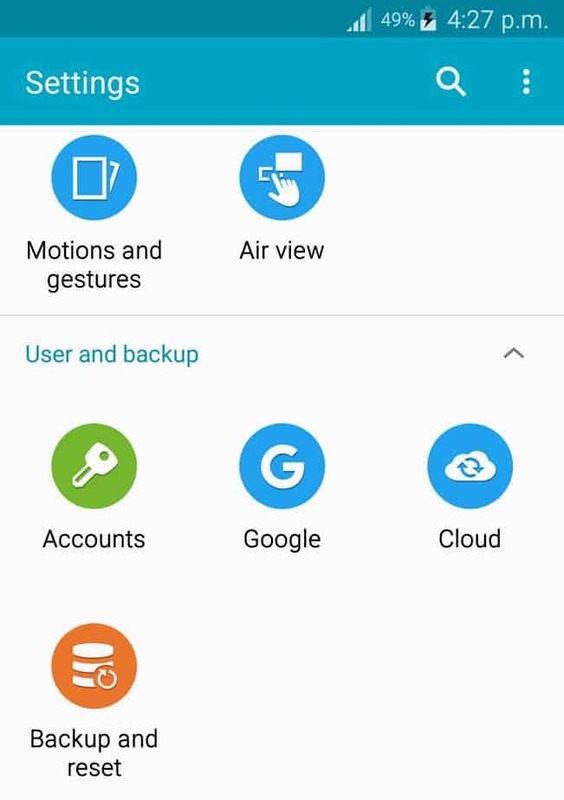 Backup and reset option is available under the same tab and tap it. You’ll get to the below options and don’t forget to check the Automatic restore. Whenever you to reinstall an app from Play Store, backed up settings and data will be restored. Read the disclaimer and tap Reset device. You’re done now. Your phone will automatically reboot and may take some time on the first boot. 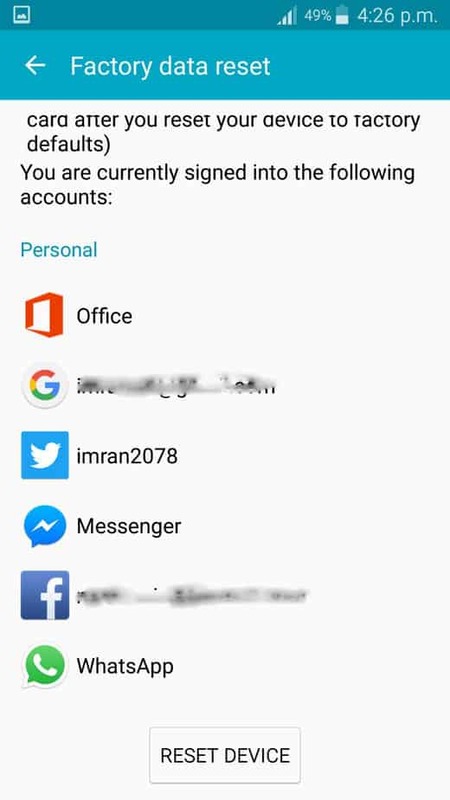 You can later add a new Google account and get started with a fresh factory reset device. If for some reasons you don’t like the above method you can skip to the 2nd method as instructed below. You’ll be using the Vol up/down key to scroll through the options and Power to select the desired option. 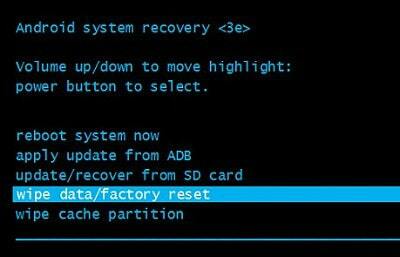 Now select Wipe data/ Factory reset option. On the next screen select, “Yes” to complete the action. That’s it. You’ve successfully hard reset your phone. Thanks for reading. I hope you’ve found this step-by-step guide helpful. Do let us know and share your experience in the comment section below. For more quality tutorial and guides keep visiting.